Matt - Really appreciate you sharing your time Brandon. I’d love to start off by asking what sparked your interest in pursuing a career in the fitness industry? Brandon - I was first introduced to the weight room through the football team the summer before my eighth grade year. I was hanging out with some older kids preparing for the season and they encouraged me to starting lifting weights. I remember developing a passion for it instantly and being very attracted to the idea of hitting strength goals. One of the first serious strength goals that I became obsessed with was back squatting 300 pounds. For whatever reason whenever I think of lifting weights the first thing I think of is that time period and feelings I had in those early days of going to the weight room. As I got older and starting to grow I was earning more and more of the hypertrophy and strength benefits, which only fueled my passion even further. When it was time to go to college I ended up going to a school where I could play football and decided to pursue a degree in health and exercise science. To be honest, I was very naive about what the field had to offer in terms of a long-term career, but I really enjoyed the classes and lessons throughout college. During my senior year I had a lucky break that led me to the career I have today. Our professor had hung a flyer for a fitness conference in our lab and recommended that we, the students, check it out if we were around over spring break. The conference was called The HIIT Resurgence at the time and is now called The Resistance Exercise conference. Coincidentally, I wasn’t going anywhere for spring break because I couldn’t afford it, so I ended up going to this conference in downtown Minneapolis. The conference was actually hosted by Luke Carlson and the Discover Strength team. It was the first time I’d ever been exposed to true evidenced-based training and exercise prescription. At the conference I met big names like Jim Flanagan, Dan Riley, Matt Briskie, and of course Luke. I knew instantly that Discover Strength was where I wanted to work. I applied and the rest is history. After experiencing the mahy benefits of lifting weights over the yeras I knew it was something I wanted to share with others as a career. Matt - Awesome. I have a very strong and similar memory of going to the weight room for the first time before freshmen football started. Looking back it realy was an amazing thing to experience. So you transitioned from being a student athlete to working as a full-time personal trainer. What lessons or challenges did you have when you first started working with clients? Brandon - One really positive challenge I faced was learning that every client has unique needs. I quickly found out that there wasn’t one perfect approach that worked for every client and that took me some time to get used to. I knew how to write a workout when I started at Discover Strength, but how to train someone, take them through a workout, and relate to them was a completely new experience for me. You had to figure out when to push a client and when not to push them, you know? There’s an art to it and it takes time to build that skill. Frankly, it’s still something I continue to work at to this day. Matt - How was Discover Strength performing as a business at that time? What support systems did they have to help young personal trainers to build their skillset? Brandon - So this was the spring of 2011. At this time Discover Strength was doing just over 300 1on1 personal training sessions a week on average so total company revenue was probably around $500,000. At the time we had a three week internship to help onboard new trainers. If you fit the company, learned and applied the Discover Strength philosophy, then you were brought on as a full-time trainer. It was also beneficial to the new trainer because it gave them a taste of the job before having to commit. If it didn’t fit they could quickly move on to something else. So, that three week onboarding internship really was the main mechanism to educate new trainers, but at the end both reserved the right to decide if they wanted to move forward or not. In addition to the internship the Discover Strength team had, and still has, a variety of programs to support their personal training teams. One example is a program called Project Learn, where we have one research article a week that everyone reads and studies together. Another continuous learning mechanism we had was to send trainers to conferences. I remember three months into the job six trainers, including Luke and myself, got up at 3am to drive to Chicago to the Club Industry conference. It was a really fun and unique experience as a new trainer in the field. It proved to me that the company valued their trainers enough to continiously invest in us. Matt - Absolutely. I’ve heard from friends in the space that Discover Strength really invests in their training team, which is one of the reasons I reached out for an interview. It's something that I wish happend more across the industry as a whole. I’d love to hear from you what do you think was the catalyst was for excelling Discover Strength at opening one location and your eventual expansion to three gym locations? Brandon - Yeah, that’s a phenomenal question. Not much has changed to be honest. Our focus has always remained the same and I would argue it’s about 2-3 main things. The first is quality of exercise and quality of workouts. I mean that in a few different ways, so I’ll break it down a bit further. From an evidenced-based perspective, our workouts will allows be founded on peer-reviewed research and scientific evidence. That’s a staple of ours that is never going away. To take that a step further I would say that the next piece is the intensity of our workouts. We push our clients really hard. When someone goes through a normal high-intensity workout and then they go through a Discover Strength workout they will understand the difference. To get back to what I was touching on earlier, although we can and do push people really hard, we will only do it if it’s right for them. Our workouts can also be extremely gentle or therapeutic if that’s what the clients needs are. The other thing that really makes Discover Strength is that we’re very focused on delivering a high-quality experience to our clientele. That sounds very stereotypical, but we try to take it to a different level. We know, forever and always, that our growth is dependent on our clients. It’s 100% on us as trainers to continue to foster and grow those relationships with our clients. Our clients know that every single trainer really wants to connect them more than your average trainer and it’s something they value. When someone comes to Discover Strength we want them to feel like they are at home. How do you do that? Well, you know what’s going on personally with your clients and you make authentic personal connections with them. Honestly that’s not something that’s easy to do, especially as you scale a business or your personal client roster. But we make it a staple of our business because we know that it’s the key to our success and to helping the client enjoy their workouts. The final piece I would say to describe what Discover Strength is all about is that we care about the success and professional growth of personal trainers. We are obsessed with paying our trainers really well, giving them great benefits, and helping them create a long-term career as a trainer. All to often we see people that pursue a career as a personal trainer but realize it’s hard to make more than $35,000-40,000 a year (maybe $50,000 on the high side). We both know that makes it difficult if you're looking to have a long-term career as a trainer. Those three pieces apply to Discover Strength today just like they did back then. Our stated company purpose, however, is that we want to lead the movement of evidenced-based exercise. This is what we tell our staff over and over and over. Matt - I love it. One trend I’ve noticed from multiple interviews is that gyms that offer personal training have shifted their organizational focus from just the sales numbers to focusing on the relationships with their clients. That’s something that radiates from every conversation I’ve had with a team member from Discover Strength. Brandon - There’s no doubt about it. People will quit health clubs or gyms all the time, but people will not quit personal relationships. We tell our staff that exact sentence during their onboarding and it really resonates with them. These are caring individuals that want to help their clients succeed. Matt - I completely agree. So, as Discover Strength continued to grow you took on the role of leading the internship program and eventually became a general manager for one of the new locations. Can you tell me what that process was like for you? Brandon - Yeah, absolutely. So I took on the role of Internship Director because it really interesting me. Throughout my life I've been obsessed with success and creating systems. Specifically, I’m obsessed with building systems to make specific outcomes repeatable. I just reached out to Luke Carlson and asked if I could take on the internship program as a personal project. He really encouraged me and told me to run with onboarding our new trainers when we had one location in early 2012. 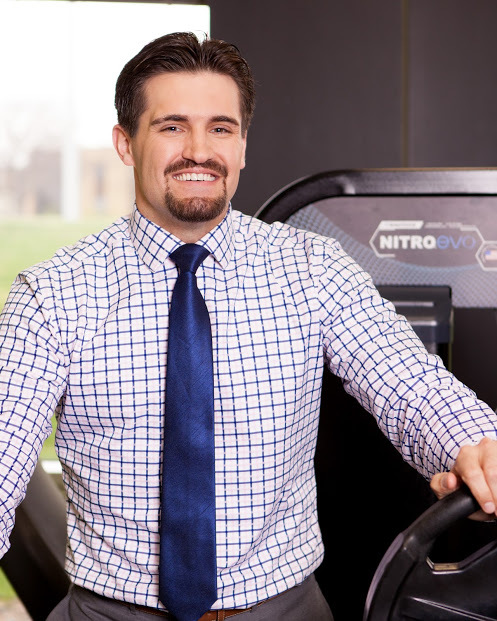 Shortly after I started working on the program we opened up our Chanhassen facility and one of our trainers took the General Manager role there. Seven months later the Discover Strength Minneapolis downtown location opened and Luke offered me the General Manager role based off of the success I’d had with the internship program. It was the direction I wanted to take my career because I’d always had a passion for leadership. Looking back, I didn't really understand the formality of management when I started. If you asked me back in 2012 what my managerial principles were I would have had no idea what to say (laughing), but I knew this was an opportunity that I couldn’t pass up. I was excited to dive into something new and learn what it took to become successful. I dove into the role and the was able to start hitting some great numbers with the team fairly quickly. Matt - I want to flesh that out a bit further. Now that you had even more control over leading a personal training staff what did you learn in that time period that helped the team succeed? Brandon - I would say the first thing that I learned that was my guiding principle was that we want to develop trainers that are going to be in this profession for their full career. I touched on this a bit earlier, but when you are career-focused you are more apt to learn and challenge yourself. I would tell our trainers that this wasn’t meant to be a 2-3 year job and that we hoped they would approach the career with the same long-term mentality that we did. Another thing I learned was that no matter how good the trainer is they require what we call inspect what you expect. If I say “hey, my expectation is that you do this” then it’s my responsibility as the manager to make sure you are actually doing that. When I say that I’m not saying you shouldn’t trust your employees. Of course you should trust them, but you should trust they are doing the work well AND verify it. If a trainer isn’t doing what we expect them to do then it provides me with an opportunity to coach and develop them further. If they are doing what you asked, that’s great! I’ll just let you run with it. I think sometimes when people hear inspect what you expect they automatically think of micromanaging and that’s really not true. It’s trust them, if they are doing it right let them run with it, but if they aren’t then you can teach them to get back on track. If they are executing well then it reaffirms to both parties that they are doing great things. It gives you, as a leader, an opportunity to encourage them and show that you appreciate the work they are doing. It’s funny you asked this question because I was reminded of an old journel entry the other day during a clarity break. Quick aside, a clarity break is a weekly scheduled time I take to think and focus on the business while I’m not working in the business. I saw a note at the top of the page that said something like, “It’s amazing what people will do for you or with you when they know you care about them.” That’s been more true than ever for me and has been a huge guiding principle for me as a I teach my training teams. You have to show people that you aren’t just their boss or you’re not just their manager. Your people have to know that you are in it for them and that you truly care about them on a personal and professional level. They should know that you’re willing to sacrifice your own time and energy to invest in them. When I started the job I learned that if I was going to mess up at everything I did as a manager at least this was the one thing I would do right. I wanted to get to know each one of my trainers inside and outside of the gym. I was 100% in it for them and it paid off. Matt - Obviously this is something that’s been a huge part of your organization culture from the very beginning, at every level, and it’s really paid off. Eventually you moved up from General Manager to your current role as Director of Operations where you could continue to apply these principles to create repeatable systems to reach company goals. Can you tell me about a bit more about systems you’ve created over the years to help with Discover Strength's growth? When it comes to continual growth the first step was to set the vision. We always set the vision of the organization as a full leadership team. We do that on an annual basis and ask where we want to go in the next year based on how we are currently doing. What should the trajectory be? In addition to setting a one year goal we have an eight year goal, a three year goal, and then the one year goal should fit into each of the larger ones. The one year goal is broken into quarterly metrics per location and then we break that down to the individual level from there. We ask, “what is the most important thing that anyone in the organization should be doing in this quarter?” These personal goals, or tasks, are called Quarterly Rocks. A trainers Quarterly Rock might be something like “move five people from group training to 1on1 training” or “up-serve five people from combo auto-pay to 1on1 auto-pay.” Basically it tells that individual trainer exactly what they can do in the next 90 days to help Discover Strength reach our quarterly goal, which then helps us reach our annual goal, which then helps us reach our three year goal, and that is how we end up accomplish our eight year BHAG (big hairy audacious goal). So, it gives people a number and a task that ultimately helps us drive organizational growth and success. These are the tactical tools we use daily. The last part of this is just the continual focus on being great leaders and managers across the organization. No matter how good I may or may not be, the success of the organization will always be dependent on our managers ability to lead and ensure each team member has the tools they need to be successful in their role. So that’s it. Core Processes, Quarterly Rocks, and then making sure that we have some of the best leaders and managers in the world. Matt - We’re both clearly very passionate about fostering long-term personal trainer careers and it’s something that is being proven to be possible at Discover Strength. Can you tell us a bit more about what the career path looks like for trainers at Discover Strength gyms? Brandon - Absolutely. One of our core values at Discover Strength is called Create Your Own Future. This comes from a belief that the only innate freedom humans have is their ability to choose. Between stimulants and responses there is a gap. We believe that our freedom lies in that gap. We can choose what we want to be and where we want to go. That’s a core value for us and we built a lot of our systems with this in mind. 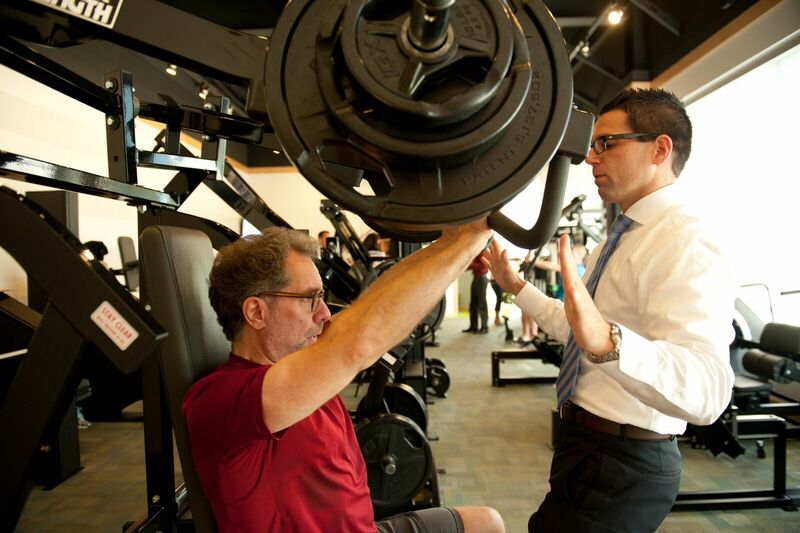 A great example is our personal training compensation structure. We don’t have a system where one person is just arbitrarily handing out raises. In fact, our managers and leaders don’t give raises whatsoever. If you want to get a raise at Discover Strength we have a Core Growth plan that lays out a roadmap of continual education that you can complete yourself. Once done, you have the ability to get paid more for essentially the same exact work. I'll explain that a bit further. At Discover Strength we have four tiers of trainers. Tier 1, 2, 3, 4. At each tier there is a list of books to read, a certification to complete, and a traveling clinical rotation where we literally pay to send a personal trainer to go learn from another facility. We’ve sent trainers to Chicago, Canada, New Orleans, even London before. All over. We send them to learn and to be inspired. It’s very similar to what an MD would do. Another example of a task to reach a new tier is to speak at an industry event. Or to be a mentor to a new trainer. Or to research a topic that you’re passionate about and do a one hour presentation to our entire staff. Those are just a few examples of the continual education options in our Core Growth Plan. Regarding compensation, trainers are compensated on the number of units trained, meaning the number of clients that they work with. They are essentially given a client. They don’t have to go out and sell to clients themselves. They are put on the schedule and we fill it up for them. They are paid on the number of people they train in a pay period and as they train more there are new compensation percentage levels they can unlock. For example, if they train 30 units in a week they get certain %, 40 a higher %, and so on. These percentages get better as the trainer raises their tier as well. Typically when a trainer starts out at Discover Strength their schedule will be 80-90% full due to their Training Lead being fanatical about filling up their schedule for them. So, new trainers will probably earn around $45,000-50,000 on average. As they progress up the tiers within three years they are probably earning around $70,000-$75,000. Within five years they should be around $90,000-$95,000. This year we will probably have a few trainers earn $95,000-$100,00 and that’s a very intentional decision by our organization. We invest an incredible amount of money into our compensation structure, but we know that the success of Discover Strength is driven by our trainers and staff. So, we want to make these opportunities to work with us as exciting as possible. We made this decision a long time ago and we’re always going to stick with it. Now keep in mind that if you want to make $100,000 at Discover Strength it’s probably going to take you five years to move through the tier system and get to that level. It’s very doable, but you will be working hard for it and you will be well compensated as a result. One quick note to add, is that after three years a trainer becomes what we call an Iconic Trainer. They’ve reached a certain experience level and we charge more for their sessions as a result. It directly benefits the trainer because the more they charge the more money they can make in the session. One additional reward we've added this year that I’m really excited about is that a Partner track to our compensation structure. It’s very similar what happens at a law firm. After 10 years of service at Discover Strength you become a partner. You’re not an equity partner, but you do get numerous benefits as a result. You get a $1000 bonus at that time. You get named Partner and you can put that on your business card. You get profit sharing at the end of the year if the company has passed a certain percentage of profit margin. You get to attend conferences with our leadership team. There’s also a partner dinner that we have at the end of the year at a nice steak place downtown. We recently had our first trainer reach ten years and we wanted to celebrate that, so now that we have a clear track I can’t wait to see more trainers accomplish it as well. Matt - That’s fantastic. Last question for you. What are you excited about over the next few years for the Discover Strength team? Brandon - We’re doing a lot of things (laughing). First of all we’re focused on growing our organization. We’re going to open two new locations this year in the Twin Cities areas and we’re going to move our DT location to an even nicer location. In the next three years we’re going to open seven more locations. So, that’s ten locations and $10 million in revenue by 2020. Our official BHAG is 100 locations and $100 million in revenue by 2025. So, we have some pretty aggressive growth ahead of us, but we feel that it’s extremely doable. In order to get there we will continue to double down on the things we’ve been successful doing. We don’t look at these goals and think that we have to change our philosophy or offer a new product. We think, quite literally, that 100 location is doable with the systems we have in place right now. It’s just about continual execution and maintaining our Core Focus of leading the movement of evidenced-based exercise. We believe that when we hit our BHAG you’ll be able to walk into any of our 100 locations and it will still feel like a home just like it did at one location when we only did 300 sessions. That’s our focus and that’s what we’re really excited for. Matt - Well that’s probably as good an ending to an interview as I can ask for. I feel like I’ve said this over and over, but I’m a huge fan of the Discover Strength team and can’t wait to watch your team accomplish these goals from here. Thank you for sharing your time for this interview.